I didn’t even know that there was an “Orange Justice” dance. The Mueller Indictment Advent Calendar is giving us daily justice deliciousness. I ain’t no lawyer but when you start seeing that sign that looks like two s’s on top of each other and you start to see parentheses around letters and numbers you know somebody is fighting like hell. I think its Deutsche Bank. Yep, I’m with you desertflower. New tonight: Judge Emmet Sullivan orders Michael Flynn to turn over his passport and bans his travel beyond 50 miles from DC until sentencing. Flynn will be able to ask Sullivan for exemptions. I think the judge wanted to sentence Flynn to prison, which I think he might do anyway in ninety days. Mueller wouldn’t indict someone a week before Christmas would he? Hillary is never running again, but i reject you based on the fact that you lack good judgment. I reject your trust fund view of the world, because you can afford to let it burn for a bit, and I can't. I overall reject your nonsense. Dear @POTUS: The First Amendment prevents government from regulating the racist speech of @TuckerCarlson, the fact-checked articles of @washingtonpost, or the search algorithms of internet companies. -US taxpayers, not Mexico, fund federal agencies. -The Executive Branch executes the law. Congress appropriates funds & write the laws. @realDonaldTrump cannot use other funds to build a wall that Congress specifically did not appropriate. Can it be watched today? I know most people here are familiar with Tom Perriello and his ACA vote that he knew would probably cost him his seat but he took it anyway. Well he is an alround good guy , it seems. Thank you so much for sharing this story, Criquet. Doesn’t Sasha graduate in 2019…. Yes she does…..so does my niece. Such a gorgeous lovely moment captured in this photo. Miss them dearly. All of them. so do i…it is so amazing when you think of their time in the White House!! Cute and messed up at the same time! I love it! Along with being a inspiration, she makes you laugh and that is so cool. A corrupt and fraudulent family foundation. Hush money to mistresses to help swing an election–felony violations of campaign finance laws. Seeking and embracing the help of an enemy to win an election. Repeatedly obstructing justice to cover up those crimes. GREAT thread. He always writes the best threads. Thank you, df. Sounds like something we could use. Yes, it does. Hope we don’t blow it. CNN: Trump signed a letter of intent to build a Trump Tower in Moscow. 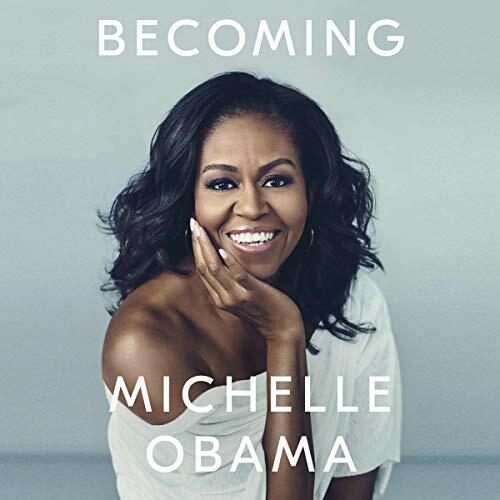 Sounds like a 2nd book of Michelle in the WH…. I’m sure it would be another great book. Come on over, but just so you know, we’ll be keeping an eye on you. Whatever Putin wants. That might be one of the things Trump agreed to when he and Putin met for two hours with no one in the room but them. Correct. How do Berners skip over this part? “Zuck run amuck.” Ha, I like that! WTF! Illegitimate judge chosen by illegitimate fraud.Should be taken OFF the SC! Just looking at him makes me either want to punch his face or throw up. Or both. Hope you are all well and ready to enjoy the holidays despite of the Moron-in-Chief who took the WH in hostage. Good morning NCLB! I truly believe things are changing in all our lives so fast we can’t keep up. Then we have this horror and the GOP tearing our country apart. It is hard to get in the holiday spirit, but our family will be together and we are all healthy. I couldn’t ask for more. Hope you and all of TODville have a some holiday joy! When you’ve built your network on vilifying people of color, people of different religions and people from other countries, you don’t get to blame other people just for pointing it out. Greeting the elves at the “Christmas in Washington” taping at the National Building Museum in 2011. That is a sickness. More GOP women need to jump ship to save their state. As I told the ladies I met in Dallas, your story is the most powerful part of who you are—the struggles, failures, successes and everything in between. Can you just imagine what it means for these girls to hear what Michelle Obama is telling them. HISTORIC NEWS: the anti-lynching bill I introduced with @CoryBooker & @SenatorTimScott just passed the Senate unanimously. Congress has tried and failed nearly 200 times to make lynching a federal crime. David Corn and Mother Jones are excellent at what they do. It’s choking me up, all this loving compassion and sweetness. Just so thankful we’re getting even this “close” to it! Can’t wait for the images from their Hawaii Christmas, either! I will not mention a word about what is in the White House now. But our POTUS44 and FLOTUS44 is the BEST. ACCOUNTABILITY strolls into town. And not a moment too soon. Go on, Rep Cummings!! Tear it up!! I love Rep. Cummings. He’s been waiting a long time for this, and it will pack a punch! Love this video. Thanks for sharing JER. ohhhh my gooodness…i am so glad meta….Stacey Abrams is a gem…i do not want her to go away…. Yes! Can’t wait to see where her passion and expertise take her! I am honored to be joining the board of Center for American Progress. Led by the extraordinary Neera Tanden, CAP has been at the forefront of progressive policy development and activism for years. Together, we will find and support bold solutions on health care access, voting rights, the economy, and other critical issues our nation faces. Put that idiot punk away. When I was down near the border at the Tornillo child prison, one of the most heart-breaking things I saw were children walking single-file and escorted by police officers. They were treated like criminals. This is a tragic stain on our nation.